Fifteen years earlier, Alex was part of a night class called Unraveling a Literary Mystery, taught by famed professor Richard Aldiss. Aldiss was teaching the class remotely from his prison cell where he was serving time for the brutal murders of two female grad students. The women were killed with an axe and their bodies decorated with the novels of reclusive author Paul Fallows. The night class’ assignment was to solve the mystery of Paul Fallows’ identity, using his novels as their map. The way to follow the map was through a mysterious game called The Procedure. During the night class, Alex exposed the true identity of Paul Fallows and uncovered evidence that acquitted Aldiss of the two murders. Flash forward to the present day and one of Alex’s former classmates has been murdered with an axe and the body surrounded by Fallows’ novels. She must use what she knows from the night class to stop the killer before each of the night class participants is picked off, one by one. Dominance is the best kind of psychological thriller, the kind that wakes you up in the middle of the night with weird dreams. Even after putting a couple of weeks between finishing the novel and writing the review, Dominance is still playing games with my head. I fell asleep last night thinking about posting this review today and woke up this morning having had the strangest dreams. For me, that makes this a great thriller worthy of five sunshines! Dominance is not a mindless, breezy beach read. 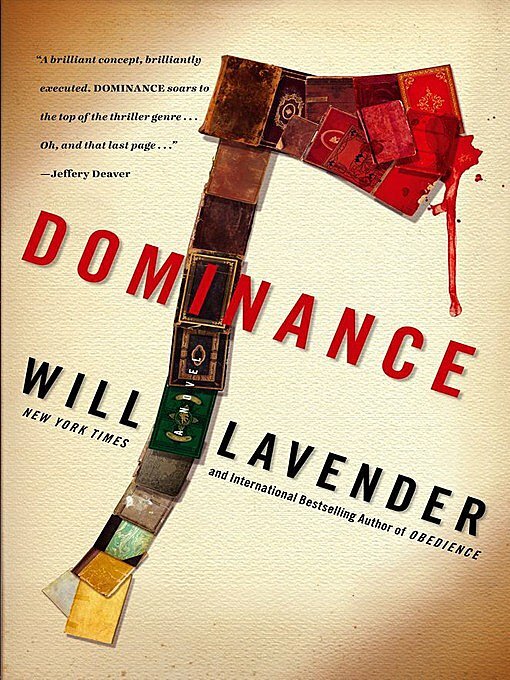 Will Lavender writes in a way that fully engages his readers. You, the reader, are called upon to pay attention and follow the clues. And trust me, when you finally reach the last jaw-dropping page, you will be richly rewarded for your efforts.